So you’re into alternative education. The traditional system doesn’t provide enough freedom of choice to students, you say. Kids need time to play, to run around, to make decisions. They learn best when following their own passions, on their own schedules. But sooner or later, you say, they’re going to have to start learning something. Sooner or later, they’re going to have to stop fooling around all day, every day, and buckle down and learn something. You think, if we wait, if we let them play and be healthy and be self-directed, eventually they’ll discover a passion, like French, or ancient Egypt, or chemistry, or photography, or piano, or developing video games. In fact, that’s the only way you can say that the education is working — if you can see that they are doing things, acquiring knowledge, and building tangible skills. So what do I think? I think that alternative/Sudbury education is not a waiting game. I think that kids’ real education is happening now, every day, whether they’re studying, building, playing, talking, or just contemplating. I think that if you’re waiting for something to happen, waiting for your 7-year-old or 11-year-old or even 16-year-old to “do something” or “learn something”, you’re communicating that what they are doing is not worthwhile. Every activity that is freely chosen by a healthy child will involve practical, social, or emotional skills, and usually all three at once. Social and emotional skills are more important for children to work on than practical skills. Social and emotional skills are primarily what free children choose to work on. 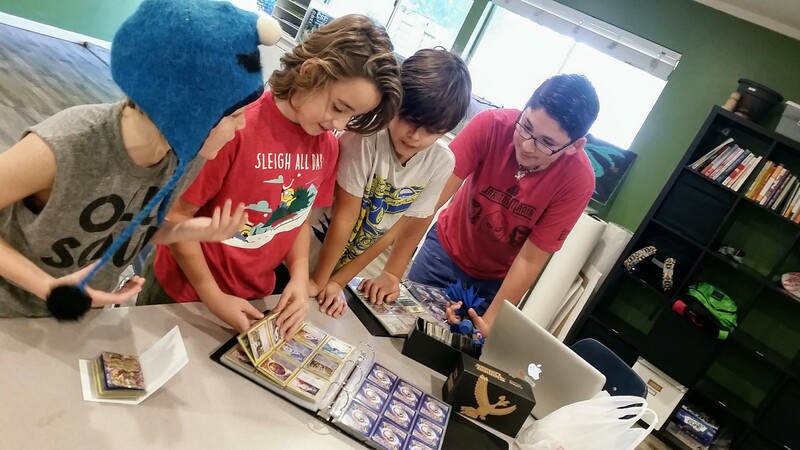 For you skeptics, I’m going to try to prove these two points — first by looking in detail at a few “non-educational” activities that kids at The Open School actually pursue on a regular basis: Pokemon cards, Minecraft, “The Zombie Game”, and YouTube, and demonstrating that they involve practical, social, and emotional skills. Battling someone with Pokemon cards requires you to do a lot of addition, subtraction, and multiplication. There’s a lot of obscure vocabulary in the text, and in order to make sense of it, not only do you have to understand what the words mean, you have to interpret the text according to the rules of the game. Of course, playing well requires sophisticated strategy, and in another sense playing well requires good sportsmanship. Even if you just want to trade cards, you need to be able to evaluate the values of the cards and haggle over deals. And then what happens if you make a bad trade? You have to deal with this emotion, regret, and how is that going to affect your relationship with the other person? And are you going to try to get the cards back? So playing the game involves not only practical skills, but also social and emotional skills. 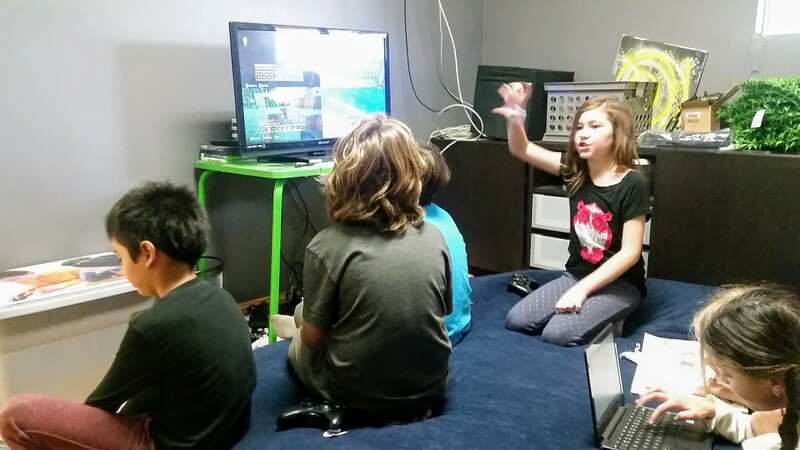 Minecraft has long been used in some traditional classrooms as a pedagogical tool. By building structures in three dimensions from their imaginations, kids develop spatial reasoning skills and exercise their creativity. The game requires a lot of reading, and even more when players are compelled by interest to look up tutorials, which also teaches them how to find information on the internet. Advanced players can even learn to code with Minecraft, by building computing machines using ordinary materials or by modding the game. Kids at The Open School are always playing Minecraft with others, usually in groups of four, and collaborative play means cooperative building which requires strong communication skills. There are arguments, negotiations, and occasionally hurt feelings — there’s a disagreement, or a miscommunication, or someone destroy’s someone else’s creation by accident — and then they have to figure out how to resolve that conflict. “The Zombie Game” is an Open School original game which involves a group of kids trying to escape a lone zombie (usually me), sometimes with Nerf guns or other props. 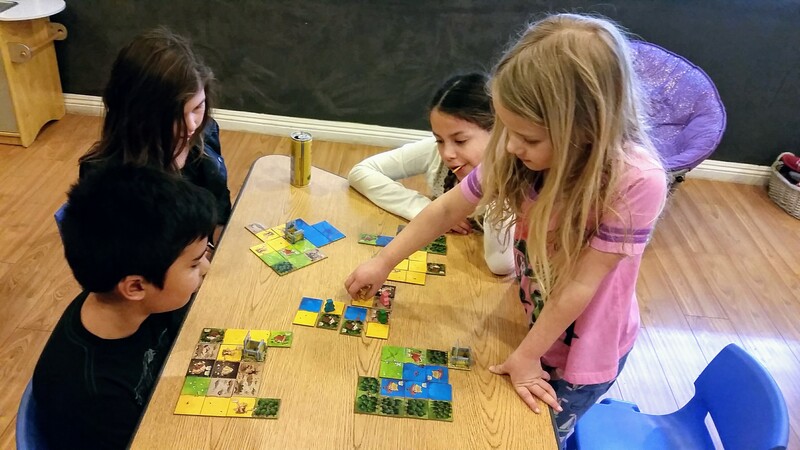 The first thing to notice about The Zombie Game is that the kids invented the game themselves, and continually re-invent it every time they play, by changing the rules or introducing new concepts. This requires not only creativity but negotiation and compromise. One challenge for a kid in the Zombie Game is figuring out how to use the terrain to your advantage. Another is figuring out how to use the other players to your advantage. For example, you may find that there is safety in numbers. You can partner up with someone to rescue each other, or if you are not well equipped you can hide behind someone who is. You can gain an advantage by convincing the zombie that you are running one direction but then actually run in the other direction. You also have to make sure the zombie isn’t going to fake you out. Success depends on being able to predict the behavior of others better than they can predict your behavior, and being familiar with the many routes through the campus. YouTube is not all funny cat videos. It’s essentially the Internet in visual form, which means all the world’s knowledge is only a click away. It’s impossible to generalize what kids are learning here. Sometimes they are watching people cook, make slime, hack Minecraft, or care for cats. Another time they are watching an explanation of how the electromagnetic spectrum works for context for their favorite sci-fi show. YouTube does not always mean passively absorbing information. One time at The Open School, a big group of students took a “what superhero are you” quiz which required them to: (A) read a question and the possible answers, which often included words they had never heard before, (B) decide which answer best represented themselves personally, (C) write down the point value of their chosen answer, and (D) at the end, use calculators to figure out their scores and see which superheroes they were. What do all these activities have in common? I think it’s that none of them yield tangible products. Those things we like to think of as “real learning” all yield tangible products — facts can be recited; a foreign language can be spoken; a science experiment can yield a conclusion; a developed video game can be shown off or sold. But playing Pokemon won’t give you anything to show for it; nor will The Zombie Game or YouTube. Those things only make you learn on the inside, in a way that’s hard to explain or even notice. What we have to remember is that learning that happens on the inside is just as valuable as learning that can be seen from the outside. Social and emotional skills: more important than practical skills? A recent survey of 260 employers by the nonprofit National Association of Colleges and Employers, which includes both small firms and behemoths like Chevron and IBM, also ranks communication skills in the top three most-sought after qualities by job recruiters. They prize both an ability to communicate with one’s workers and an aptitude for conveying the company’s product and mission outside the organization. Moreover, social and emotional skills are far more complex than practical skills, and take a long, long time to master. Traditional education, which spends tremendous resources and years of kids’ lives teaching them to do simple things like read and calculate, would have us believe otherwise. But kids learn to read and do math quickly and painlessly when they are ready and truly interested. On the other hand, social and emotional affairs are minefields of confusion even for the most emotionally intelligent kids. That is why free children choose to spend so much time in social play. Practical skills, on the other hand, generally only become necessary later. We are sold the message that kids need to start practicing career skills early so they will develop mastery over time. If this is true, science really is more worthy than Pokemon, because one has the potential to become a career and the other does not. However, in the current generation of working adults, it’s rare for someone to spend an entire lifetime in one career. This will be even more true for the next generation. A passion that develops in childhood may be forgotten at 18 and replaced with a new passion, which may then be replaced at 23 with yet another passion (and thus a new career), and so on. Yet, the 23-year-old who has just jumped into a new profession with no background is not at a disadvantage, in this economy. The practical skills required for that profession can be picked up along the way, through experience and, when necessary, self-directed study. If this is the case, then it’s silly to evaluate a child’s passion in terms of its economic viability. What’s important is that kids grow up feeling free to be themselves and to chase their own dreams, and to develop confidence in themselves that they are capable of learning anything and doing anything they want to. The answer to this educational puzzle can be summed up in one word: trust. 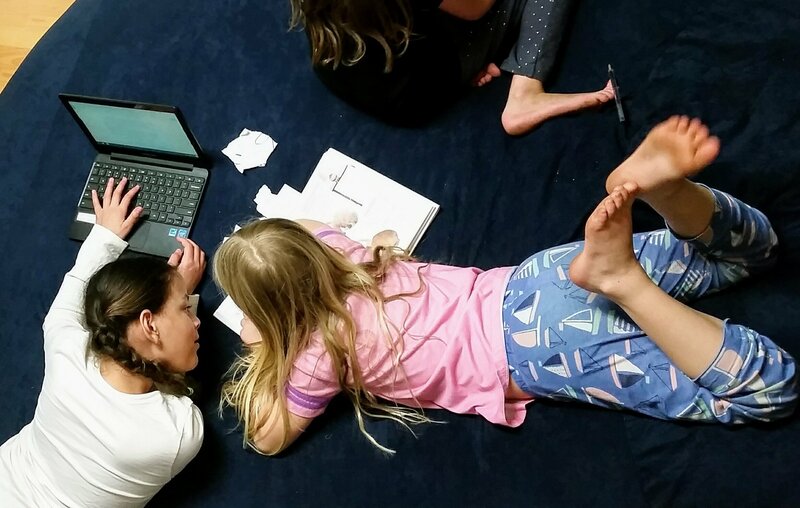 Trust kids’ choices of how to spend their time. Because there is really no such thing as a non-educational activity. « Why do we have academic categories?